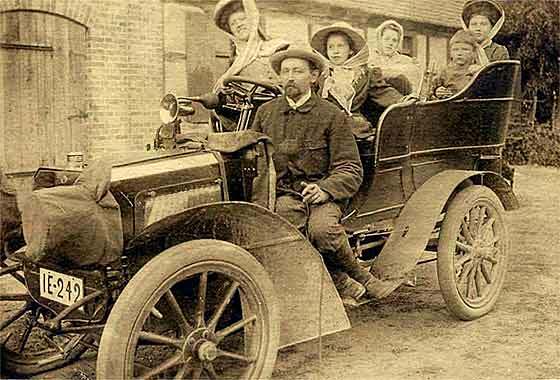 Unusual photo submitted by Povertycove (USA) showing a vehicle photographed in Germany in 1912 while his grandmother and aunts were visiting family in Germany. This was relatively difficult and our external contributors Messrs Warburton and Sinclair both believe it is a cca 1902 Benz Parsifal 8/10 HP Rear Entrance Tonneau. While many features match, the radiator configuration with a filler cap at the front is a bit puzzling. Perhaps a later rad update as was quite common then. Photo of a very unusual car submitted by Ruth Watson, Yorkshire (UK). Likely owners are either a family called Cunningham or Abernethy from North of Ireland. John Cunningham was director of a Publishing Co in Belfast. Sister Dora married Samuel Abernethy in Belfast, also in publishing but bought a hotel in Co Down when eyesight gave up. Sons Alfred and Samuel moved to USA. 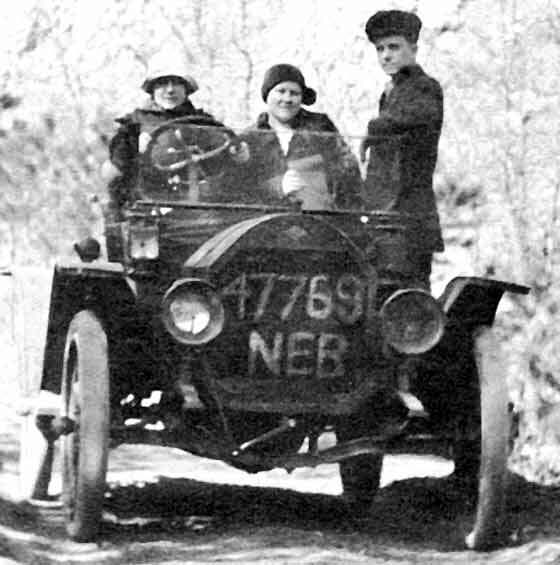 -- Reg IB 71 is Armagh CC and car is a cca 1903/4 Chambers 8HP, made in N.I. Later one is on Help Page 10. Two photos received from Andy Oswald of Lowestoft (UK) asking for help in identifying two vehicles in which a friend's great Grandfather was photographed. Is it perhaps a Pope? -- No, not a Pope. We think this is the same car with a major update a few years apart. The registration seems to be the same and many of the bodywork features are identical. Our Tim Harding is sure the second photo shows a Belgian cca 1907 Minerva Tourer; older shows how it would have been originally. Lovely photos submitted byJulie Pettitt of World of WearableArt & Classic Cars Museum (New Zealand) asking for more info on their cca 1908 Humber 15 Landaulette. 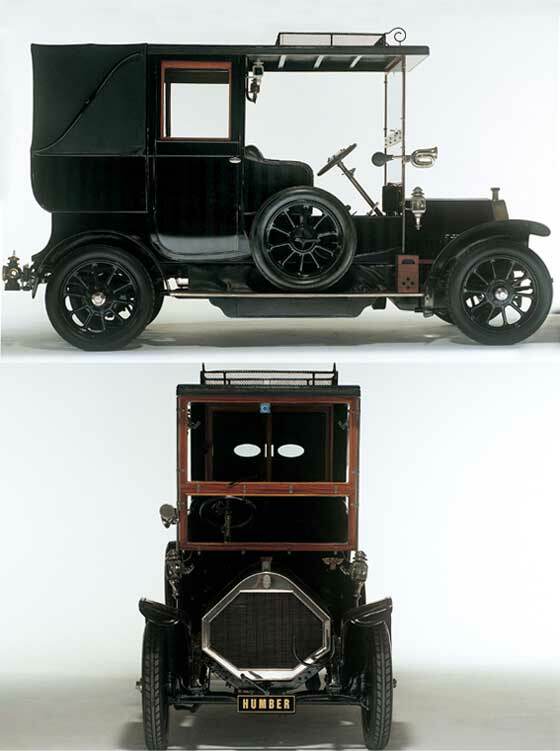 Our Humber Expert Tony Oakes advises that the 15hp was catalogued in 1907 and 1908 only. In 1907 it was a 4cyl 3258cc, which was increased in 1908 to 3479cc. They were all in the Humber factory in Coventry rather that in Beeston. 1908 cars cost from £315 to £465 depending on body. 1909/10 '16hp' had 4084cc 4 cylinder. Rather nice period postcard received from Alun Pugh of Leeds (UK) showing a car from Campsell's Garage, Burley Wood, Leeds in West Yorkshire. He thinks the plate is West Yorks. -- We can confirm that the Registration was indeed issued by West Riding of Yorkshire CC but accurate dating information has been lost. 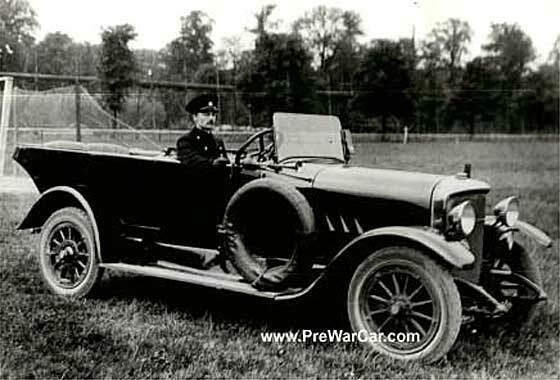 The car is quite unusual being a cca 1909 Maudslay Extended Landaulette. 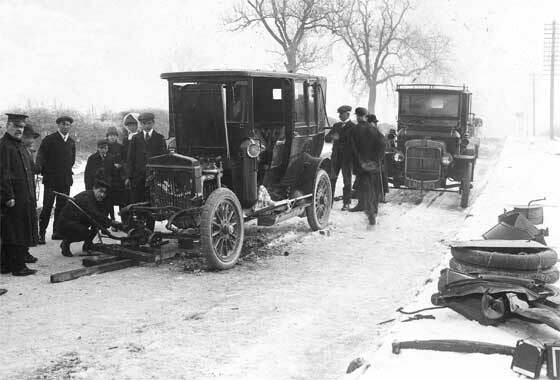 Maudslay started cars in 1902 with differing shapes of radiators. Better known for lorries. Another two photos from Michael Heaton (UK) of what he believes are the same car, one in wrecked condition, the other repaired. -- This is 'repaired' one with ##717 registration. Pre-war Daimler Register think the 'repaired one is a cca 1908 Daimler. This car has an external chain drive casing, only made during 1908, which the crash car does not. The front dumb irons and springs are entirely different suggesting that this is much lighter, and it carries a pre-1911 AA Badge. Not the same car. Another two photos from Michael Heaton (UK) of what he believes are the same car, one in its totally wrecked condition with the hood up, the other hood down and repaired. This is the crashed one. -- Pre-war Daimler Register think the crashed car' is cca 1908 Daimler Landaulette poppet valve car, as both the exhaust and inlet manifolds can be seen. 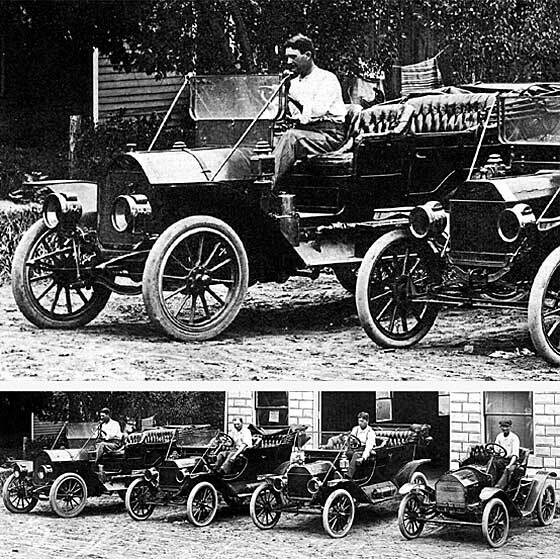 12 spokes on the front and 16 on the rear was a 1908 feature only. 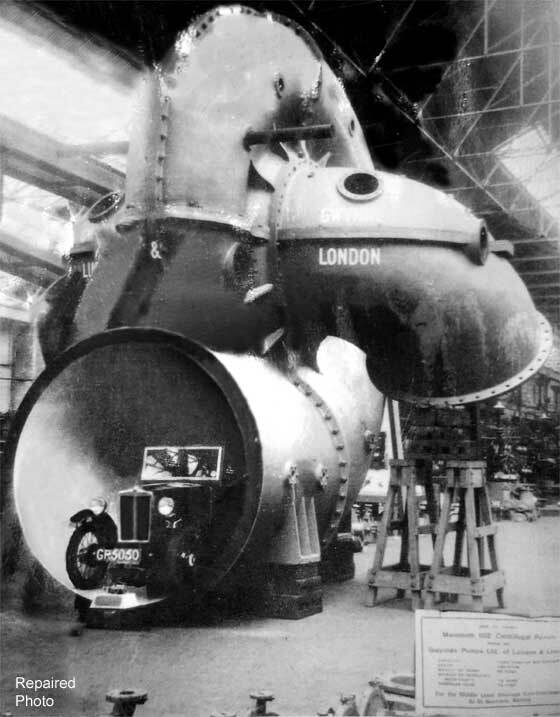 The one in the background is cca 1906, registered in London. Love the jack! 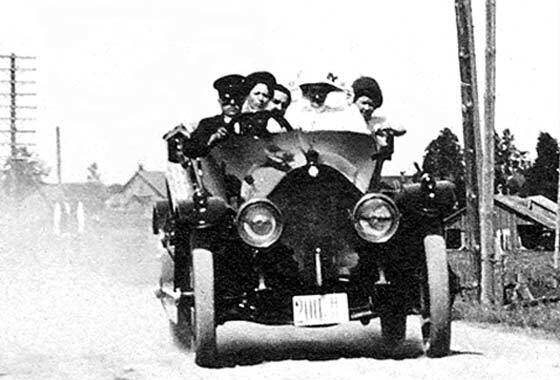 Interesting photo submitted by John Dennis of Macon (USA) of a vehicle (circa 1912) that has experts scratching their heads. 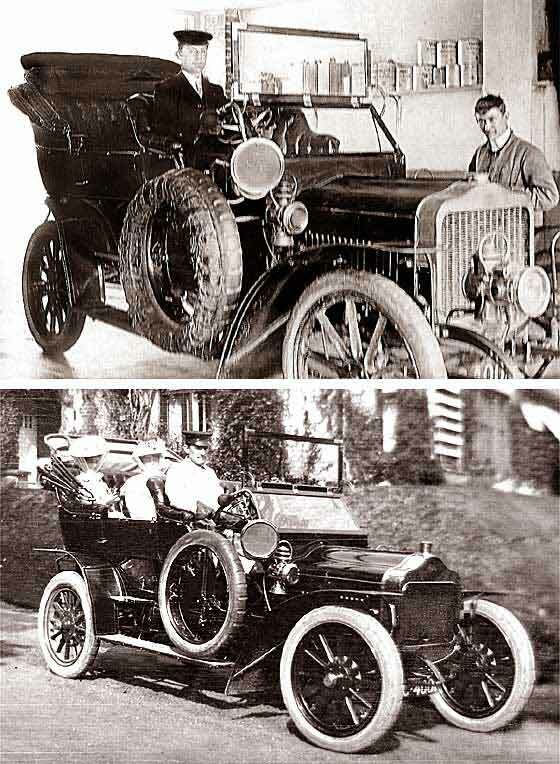 The car on the right is a 1911 Ford T Touring as defined by Model T forum who beat us to advising that the other car is a cca 1911 Jackson Model 30. It was a photo from our Help Page 20 which got them looking in the right direction. See Help Page 20 for write-up and picture. Made in Jackson, Michigan, USA; petrol in 1899, steamers in 1901 and petrol to 1924. Photo received from Rob Kirk (UK) part of a small team at BSkyB News researching the First World War, but no idea where this picture was taken. 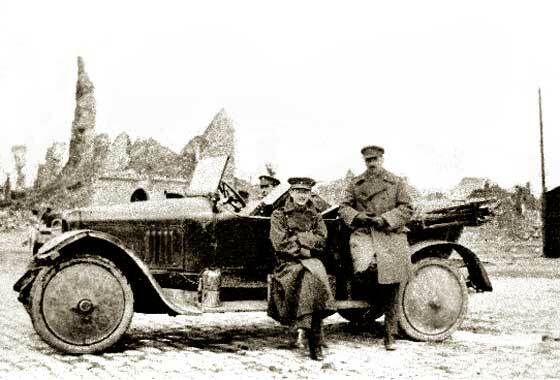 Identifying the vehicle might give a clue if in France, Belgium or possibly Germany. -- We can advise this a cca 1914 Vauxhall 25 HP, also known as the D Type. 4,500 were made specifically for the British forces until 1922. Saw service in Jerusalem, Middle East and throughout the European theatre of war. Guess this will not help at all !! Photo submitted by Greg (USA) to AACA asking if anybody recognised it. On the back of the photo is "...took us out in his new car..." 'The most beautiful car in America', Narraganset Pier, RI, May 1919. -- The slogan was used by the Paige Motor Company which followed of from Paige Detroit, and this helped in identification. 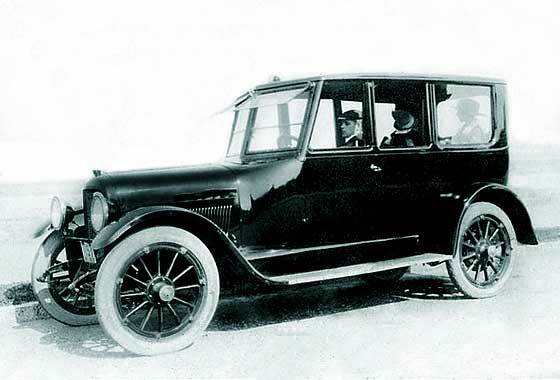 Forward slanting louvres and hubs seem to match, and the headlamp style indicates a pre 1920 date. 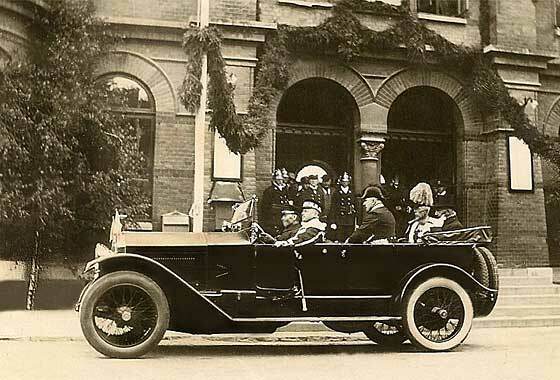 Paige made $2.5M loss in 1927 and became Graham Page Motors. Another of a number of very interesting photos submitted by Jan Lundin (Sweden) showing vehicles in the 20s and 30s Scandinavia, for which he is seeking identification and dating. Photon shows the King of Sweden on a local tour. -- Jan has habit of unearthing unusual vehicles and this is no exception. This looks very Italian and Lancia and the triangular section mini-grill on the bulkhead after the bonnet louvers suggests a cca 1924 Lancia Trikappa Tourer, a relatively unusual model. 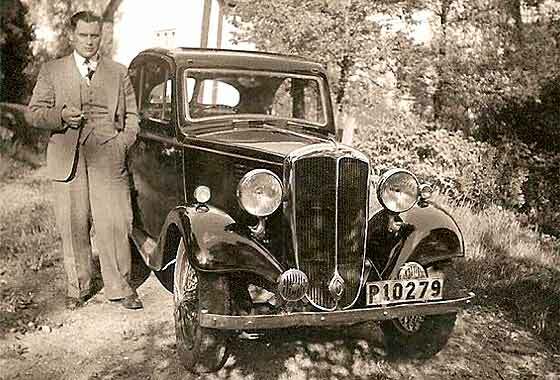 Photo sent to our friends at PreWarCar by Bas de Voogd (Holland) on the subject of V shaped radiators and type of body style that was popular with German coach builders of the early twenties. This is typical of the style and was a car that was in service with the Police force of Rotterdam, Holland. 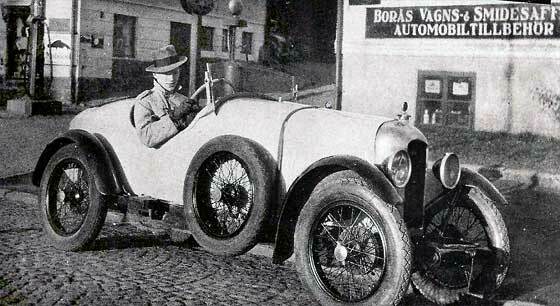 -- We are relatively sure that this is a cca 1925 Horch Tourer. The style of coachwork is known as 'Tulip Bodied'. Horch were topend luxury car manufacturers in Germany between 1904-1939. Another of a number of very interesting photos submitted by Jan Lundin (Sweden) showing vehicles in the 20s and 30s Scandinavia, for which he is seeking identification and dating. -- This is a lovely period picture showing what could be a prospective buyer the latest in go-faster sportscars. I am told by our member and international Amilcar expert Desmond Peacock that this is a 1926 Amilcar CGS3. The 3 stands for a 3 seater, - seat just visible behind the driver. Bigger front brakes. Lovely family photo submitted by Fernand F. Haenggi (Switzerland) saying he is investigating family history in Melbourne in the late 1920s. He thinks car may be a Panhard belonging to a local business man on the photo with his wife and his young mother. The picnic spot seems to be near a racing track. 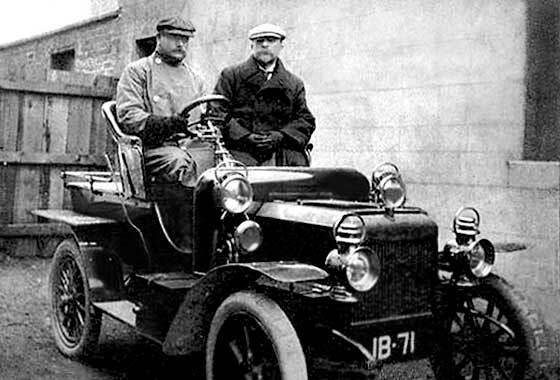 -- We are relatively sure this not a Panhard & Levassor as the radiator would be pointed. Our friends at the AACA agree that it is American and is a cca 1927 Packard 7 Passenger Sedan. Photo submitted to Rootschat by David Ibbotson (UK). The young boy in photo is possibly his father. 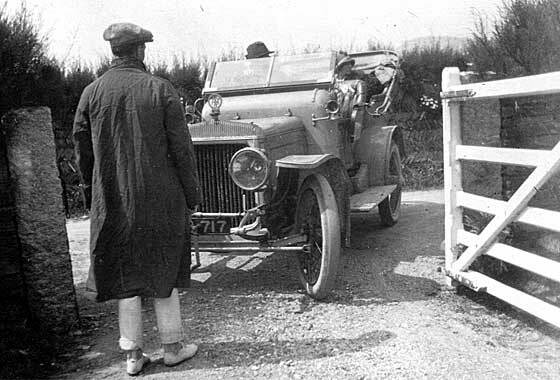 If so, the car would be dated about 1918. Could anyone help with the date of this photo. Also does anyone now what make/model the car is. -- This is a cca 1927 Morris Oxford Tourer and therefore the lad cannot be his father. Known as the 'Flat Nose' Oxford after the famous Bull Nose. 185,000 made between 1926 and 1930. Similar Cowley was a cheaper, simpler, car with fewer wheelnuts. Another unusual photo submitted by 'Grandpa' (USA) who is another who has a tresure-house of old car photos. -- Puzzling why a RHD American car would be in Paris. Careful study of the picture enlarged suggests that the photo was taken against the 'back' of the Arc de Triomphe and that the orientation is correct. 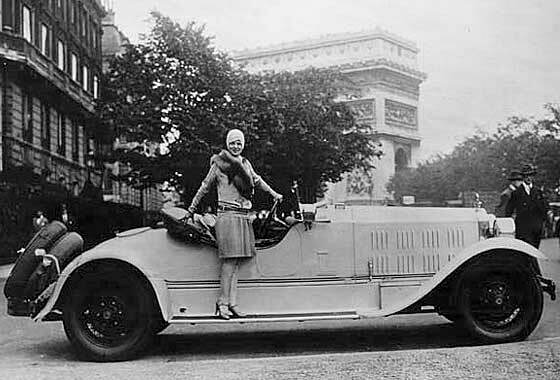 So it would have been a RHD car in Paris, but as no numberplate on same side at the rear,- suggesting RHD 1927 Packard 343 Speedster configured for USA use ?? Very unusual photo of a photo received from Fiona Willis (UK) of a car inside a massive pump at St Germans Pumping Station (Fenland). 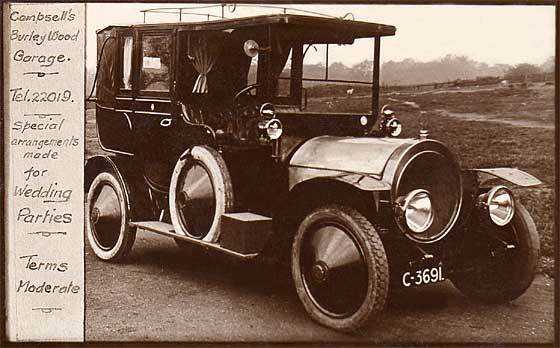 The car was described as a Model T Ford - it seems nobody had ever doubted this before! The pump is a Gwynne pump but the car does not look like a Gwynne car, possibly a Morris. But square bottom radiator? -- The GP Sequence relates to 1931 and our Tim Harding is quite sure it is a Morris Minor. 1931 Minors did have a centre bar and square bottomed rad. Another of a number of very interesting photos submitted by Jan Lundin (Sweden) showing vehicles in the 20s and 30s Scandinavia, for which he is seeking identification and dating. -- Jan has habit of unearthing unusual vehicles and this is no exception. This is a Sweedish cca 1931 Hasqvarna-JAP Motorcycle. 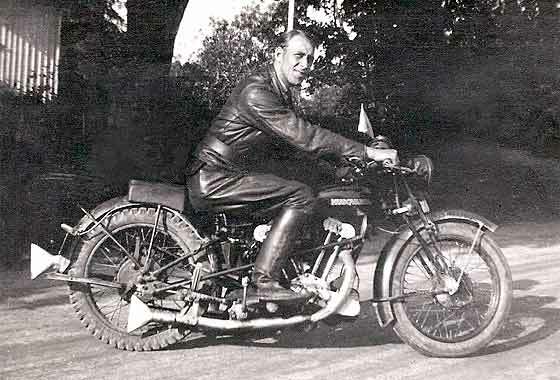 They made motorcycles from about 1903 and used JAP single and twins on their faster 1930s machines. V twins were mainly used for racing and sold within Sweeden. Another interesting cinema screen grab being investigated by IMCDB of a vehicle which appeared in a 1959 film "Shake Hands with the Devil". This was a black & white film set in 1921 Dublin, where the IRA battles the "Black & Tans", the special British forces given to harsh measures. 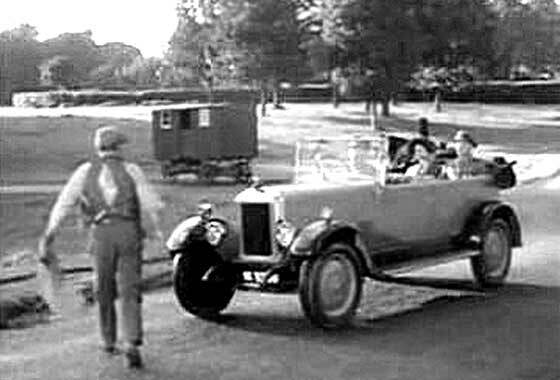 The car in this scene is a 1932 Armstrong Siddeley Fifteen Tourer which is mis-cast by some 11 years. The registration helps with the dating and advising the little car was also far from its home of Wigan in Lancashire. 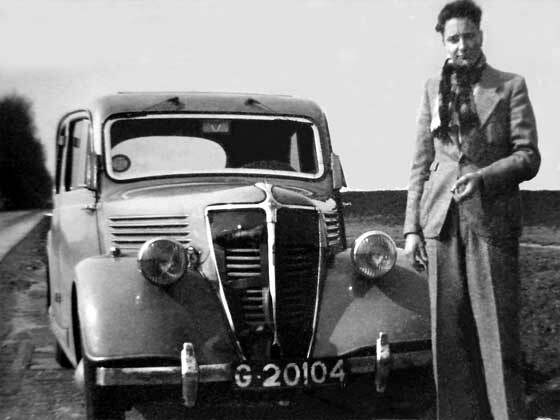 Photo submitted Gordon McFarlane (UK) of his uncle James Pacitti who was one of the first drivers with Walter Alexander Ltd, a local bus company in the Falkirk. He was promoted to "Inspector", shown on the collar and hat. -- We can advise that this is a 1937 Ford Model CX Saloon registered in Blackpool. The Ford badge has been taken off; the hood ornament is non standard; additional metalwork strips on the radiator grille; bumper is non standard; and a foglamp has been added. Lovely photo submitted by Robert Hoppel of Texas (USA) of his father in the late 30's somewhere along the road in Holland (where they lived). 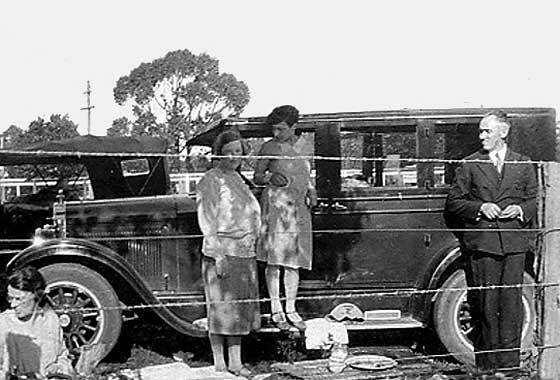 He has contacted the archives and researched the number plate, but in those days they apparently did not register the make and year of the car; the plate was only tied to a particular person and he could take it from car to next car at his convenience. -- We can advise that it is a cca 1939 Renault Primaquatre Saloon. This model was built 1939-1941. Photo taken on the tiny Greek Island of Paxos by yours truly (UK) parked inside a bus depot. Nobody was there so could not get any background on it or any other classics that may be on the island. 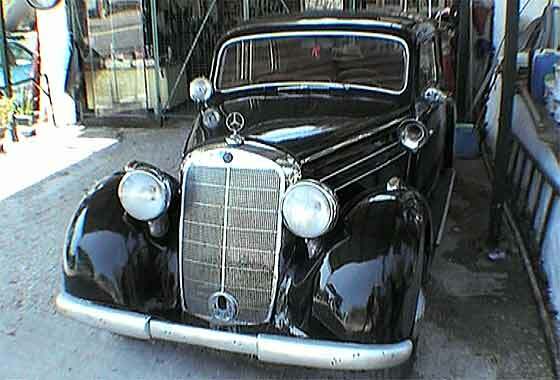 The Car is a cca 1949 Mercedes Benz 170 . While in a generally good condition, and seemingly cared for, the body fillings and paintwork was in quite a tatty condion. Probably was a local taxi. No doubt somebody interested will see it, and no doubt owner will want lots of money for it. Two photos sent in by Claire Dulanty (UK). 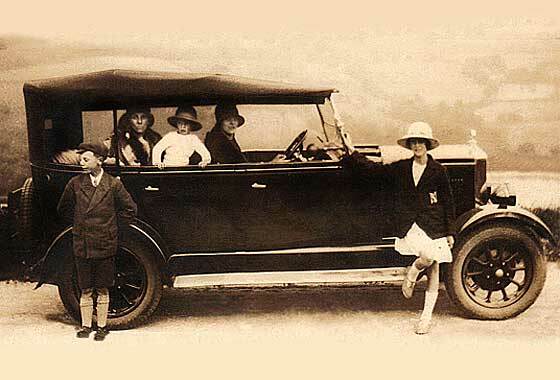 The first is of a charabanc outing. Her grandfather, John Whelan Dulanty (1881 - 1955), is at the front of the middle row. It says 'Southern Railways' on the door. He did work as a railway clerk in the early 1900s in Manchester. Eventually he became Ireland's first Ambassador. In the other, presumably taken much earlier, he is second from the right. 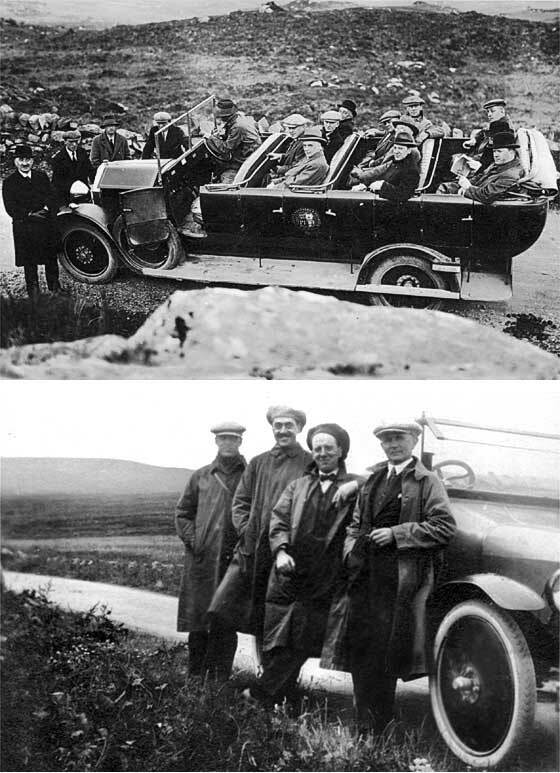 Charabanc is cca 1925 LanciaTetraiota/Hall Lewis, and car a Ford Model T Special of cca 1926.